What Are The Biggest Lessons Gaming Has Learned From Other Industries? Being successful in business means more than looking within your own market, it means keeping a keen eye on the greater landscape of society and technology. This is especially important in an industry such as gaming, which is rapidly changing and evolving with each passing year. Breakout hits both in terms of genres and individual games are constantly reshaping the industry, and with eSports giving gaming more visibility than ever, there remain questions about what is left to learn. What will be the next big thing, and from where will it come? 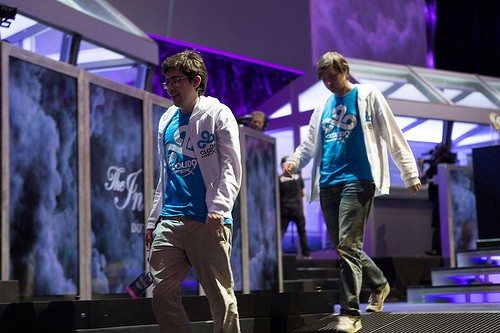 It’s difficult to understate what eSports represents in terms of mainstream recognition of professional-level gaming. While major national and international tournaments are hardly a recent development in gaming competitions, the recent coverage and standards are rapidly approaching those of more traditional major sporting events. ESPN now covers important tournaments like Street Fighter 5 and League of Legends, the standards of which borrow heavily established sporting coverage methodology. Centered play-areas, huge screen coverage, real-time replays and commentary; all of these are taken from traditional sports, adapted, and then placed within the video gaming sphere. The International, the largest eSports tournament in the world, is a strong example of all these aspects. Production values here put many more established sporting events to shame, and this is with a form of competition still in its relative infancy. Another aspect of gaming which has borrowed heavily from other industries is that of free-to-play gaming. Apex Legends is the biggest recent example of the possible success available in this largely untapped market, gaining 25 million players within a week of release. Rather than borrowing from traditional sports as eSports did, this style of gaming owes more to the established field of online gaming. Between established apps and online gaming sites, this huge market has influenced mainstream gaming by proving that upfront costs aren’t required for developers to make money. Online casinos, for example, represent a large section of the iGaming industry, with sites such as CasinoWings comparing the free spins on slots, money back offers, and opening bonuses available for new and existing players. As with many initially free-to-play games, getting more out of the experience costs, but the key has been finding the sweet spot to drawing in new players, as laid out in by this other very successful industry. The final lesson we want to cover is that of leaning on the popularity of older products. We see this all the time today in film and television, with reboots and sequels being more popular than ever. Similar developments have been seen in gaming, with resurgences in older series and reboots both proving popular. 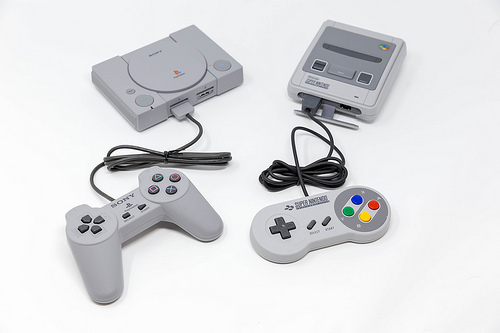 Releases in the form of systems like the PlayStation Classic have similarly attempted to play into this nostalgia, with varying degrees of success. As an interactive medium, and one heavily depended on specific host systems, gaming is a very different beast than any other form of media. Despite this disparity, developments like those above have shown that it is not entirely separate or monolithic. Gaming is an industry that learns from the lessons and mistakes of others, and we can only hope that this keeps the environment fresh and exciting into the next generation and beyond.